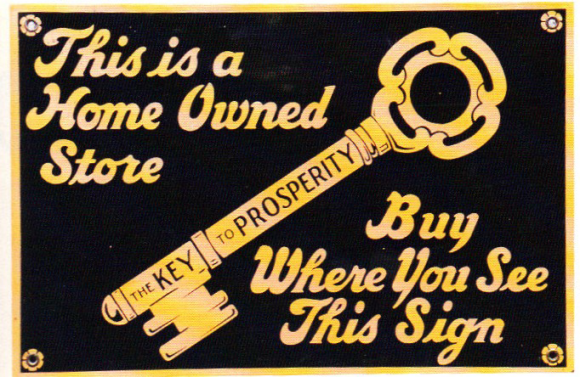 This is a rectangular Key to Prosperity porcelain sign. This particular Key to Prosperity sign is black with gold text. It reads, “This is a Home Owned Store, The Key to Prosperity, Buy Where You See This Sign” and features a gold key in the center.